Esther Jenner, 88, has been besieged by calls from the media in recent days, but the widow in Lewiston, Idaho, isn't interested in fueling gossip. Instead, in a wide-ranging, nearly hour-long phone interview, she praised her Olympian son for his courage, stopping short of some details that have been floated by unnamed sources online and in tabloids. 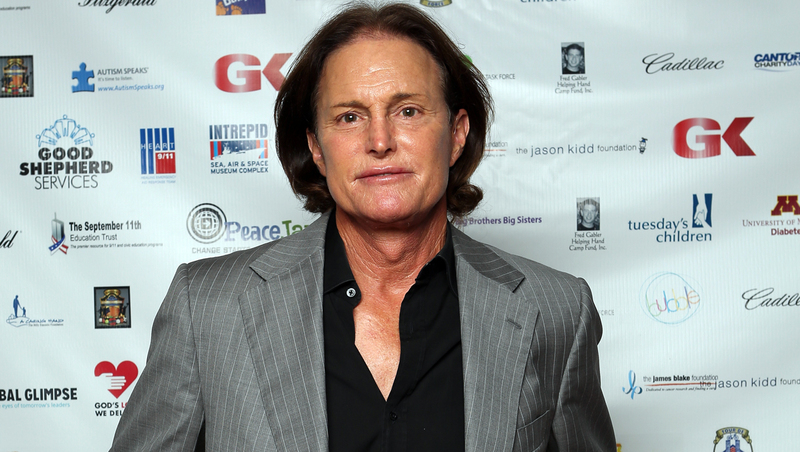 Bruce Jenner, who won gold as a decathlete in the 1976 Summer Games, has not publicly spoken about transitioning to a woman. His appearance has gradually become more traditionally feminine. A publicist for the 65-year-old Jenner would not comment about his mother's remarks. Nor would E! Entertainment on word that Jenner will appear in a reality series about his journey. AP: Have you spoken to Bruce recently about his transition? Jenner: It was brief and I said I was proud of him and that I'll always love him. I never thought I could be more proud of Bruce when he reached his goal in 1976, but I'm more proud of him now. It takes a lot of courage to do what he's doing." AP: He has opened up in terms of his gender identity, which he is now owning, as opposed to hiding like so many transgender people have to do? Is that right? AP: How did it feel for him to come to you and explain? Jenner: When I first learned about it, yes, of course it was a surprise. AP: In a lot of cases, families really suffer from that kind of announcement. Jenner: The family is close and very supportive of Bruce and we're supportive of each other. AP: Was it a shock? Jenner: It was a shock. It's hard to wrap your mind around it. AP: How did he explain it to you? Jenner: He said, 'I want to be honest about my identity and I know this is coming out in the press.' He started by saying, 'We need to have a long, serious talk.' I am at peace with what he is and what he's doing.